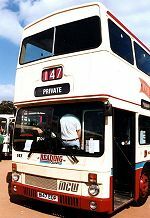 This photograph shows the nearside view of the above and was taken at Brooklands Runway on 9th April 2000. 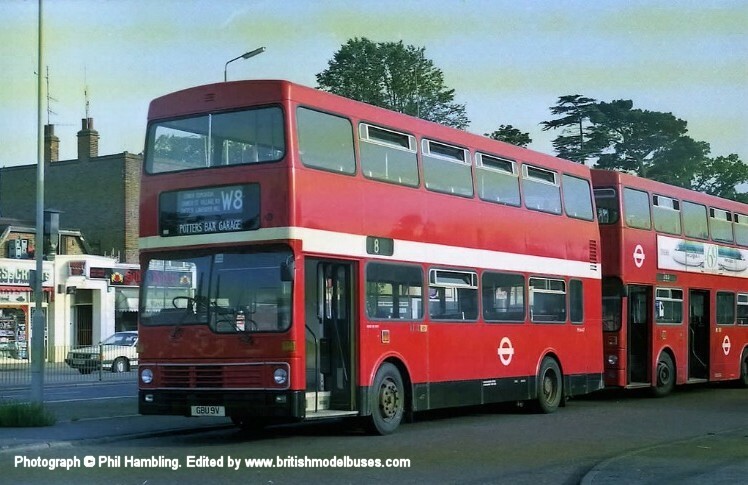 This photograph was taken outside Harrow Leisure Centre in Wealdstone on Saturday 24th November 2007 and shows fleet number M6 (WYW6T). 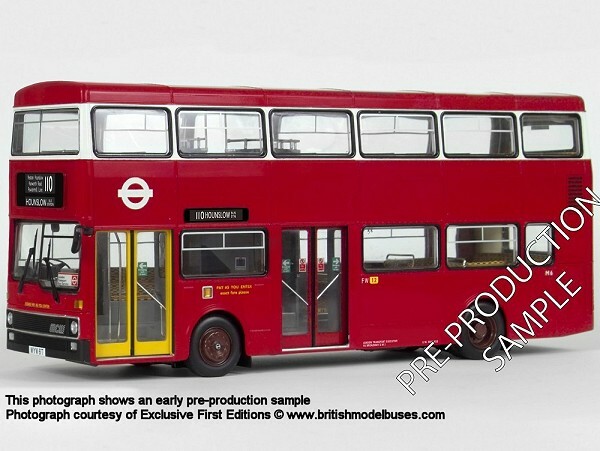 This is the actual vehicle represented by Gilbow (Holdings) Ltd 1:24th scale model 98003 the front blind is displaying one of the routes to be represented on the model. This photograph shows the offside rear view of the above. 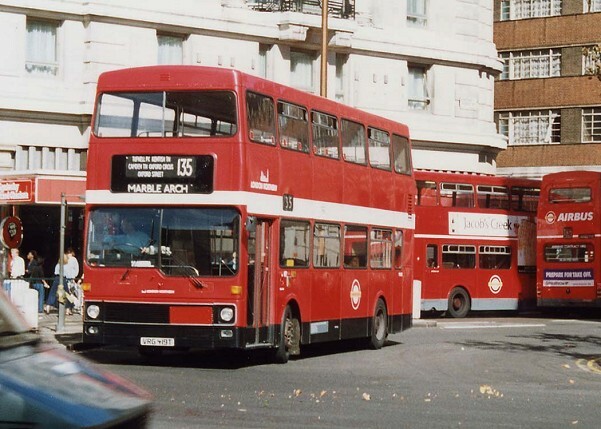 This photograph was taken at Brixton Garage during November 1986 and shows fleet number M1442 (A442UUV). 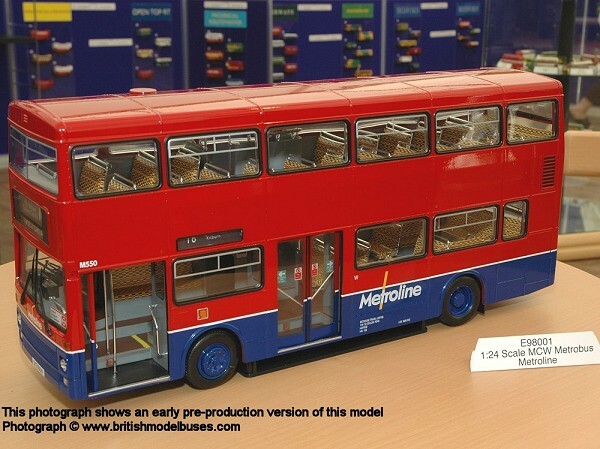 This is the actual vehicle represented by Corgi OOC model 45105. 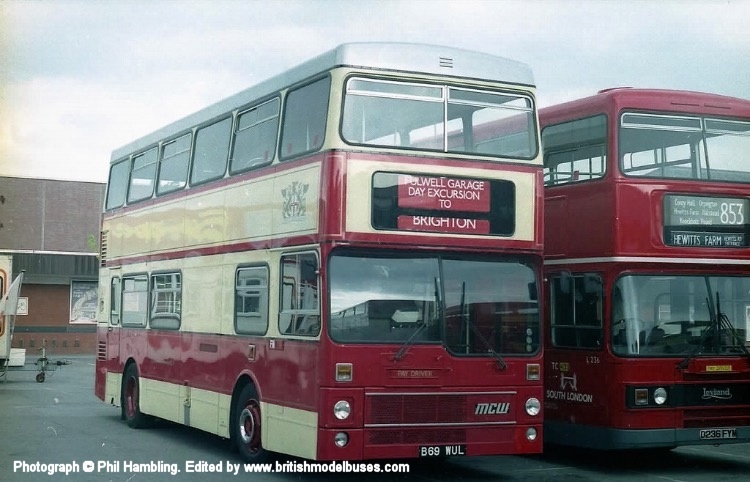 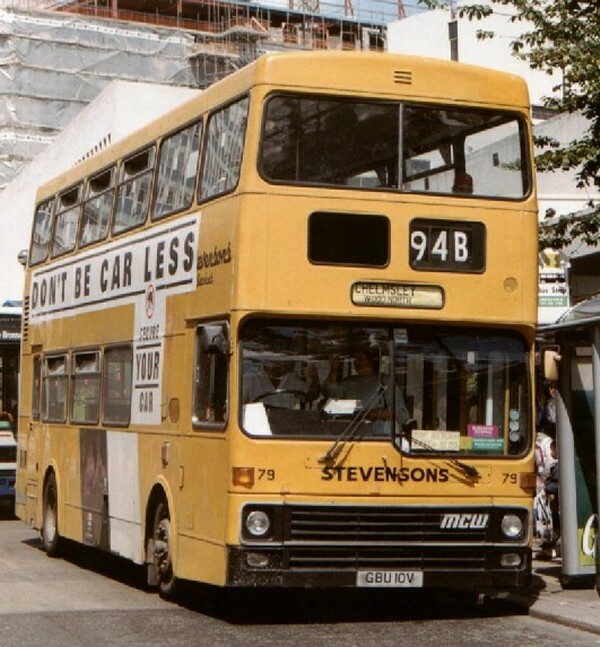 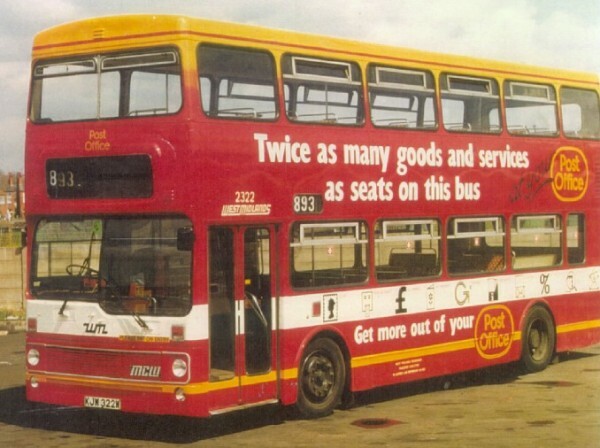 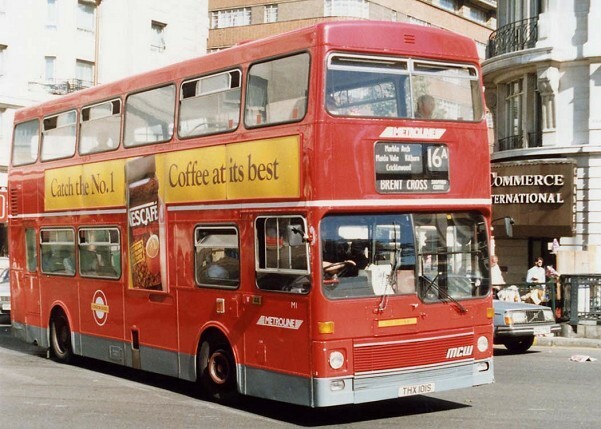 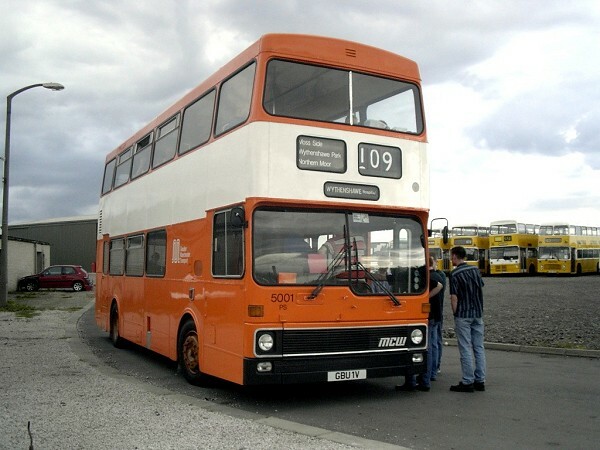 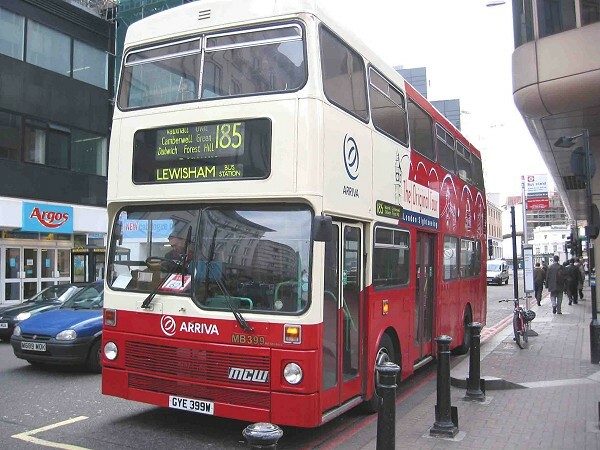 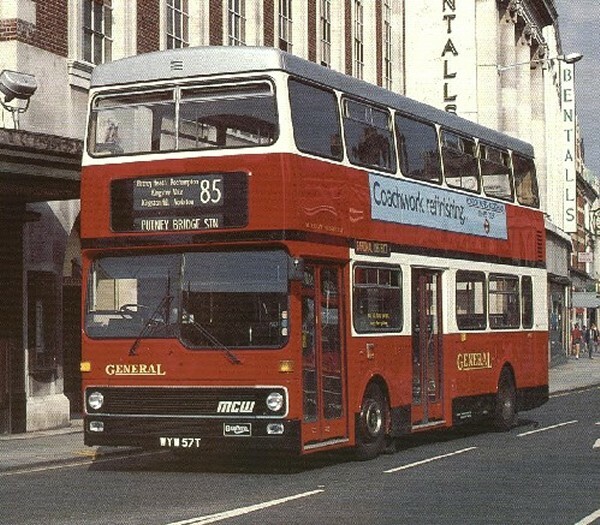 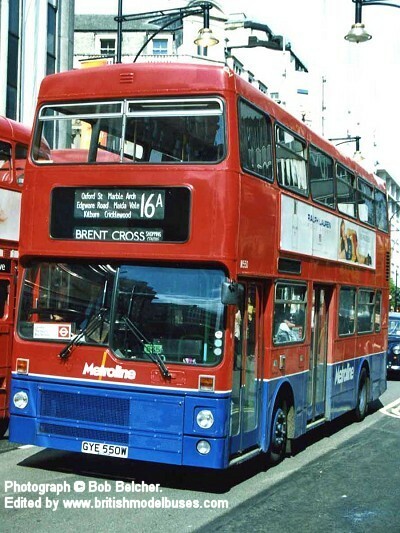 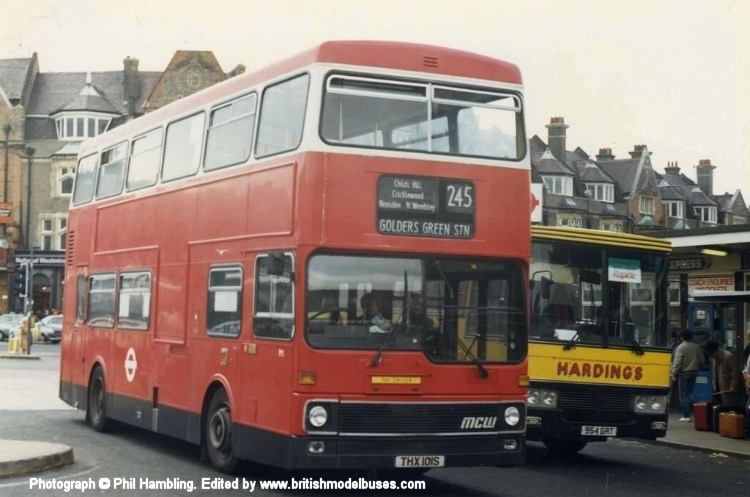 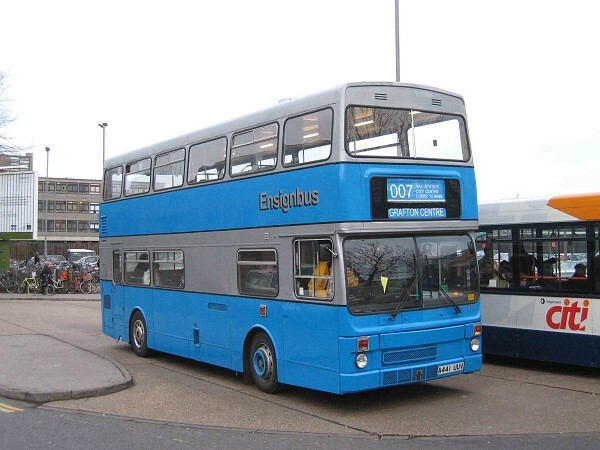 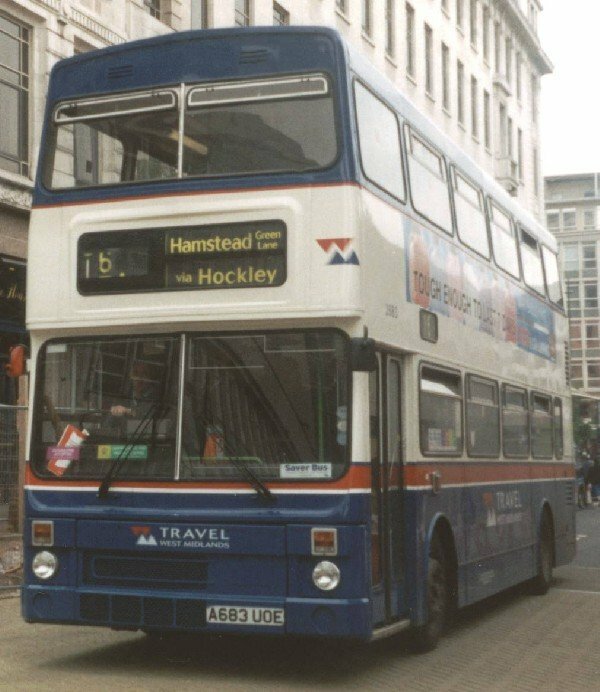 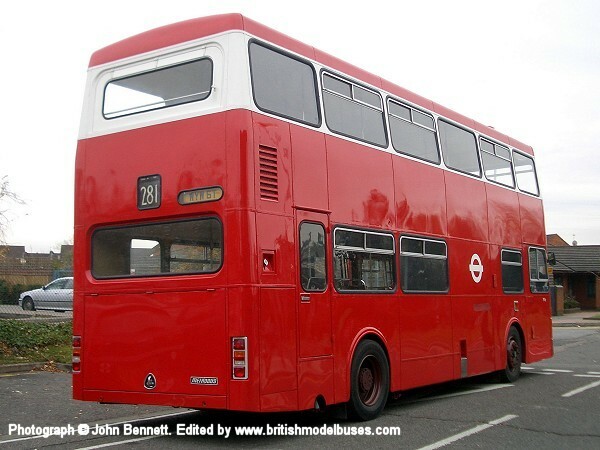 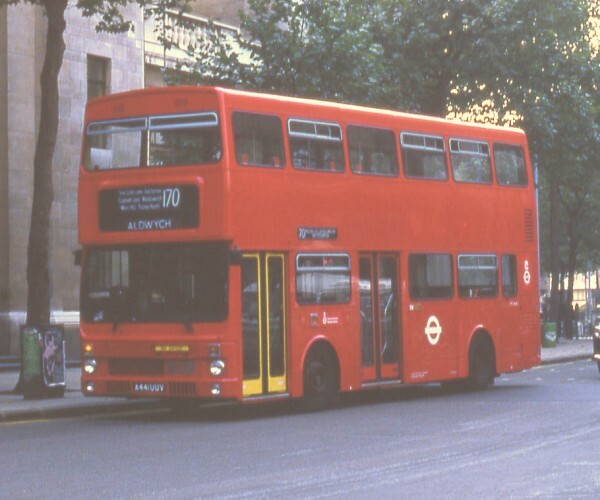 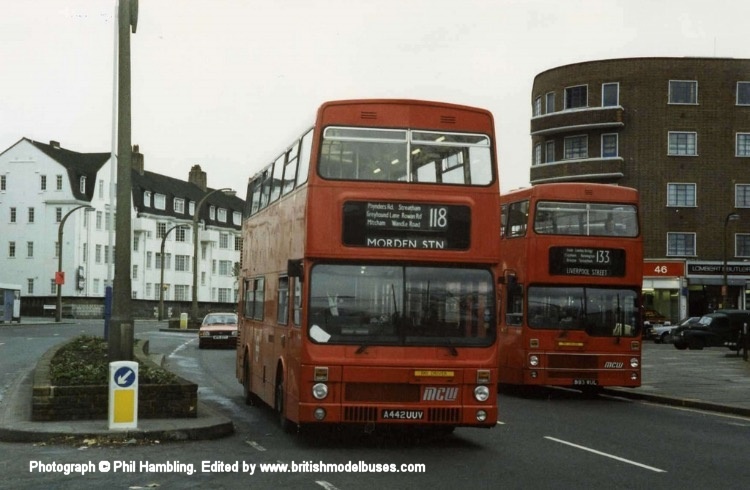 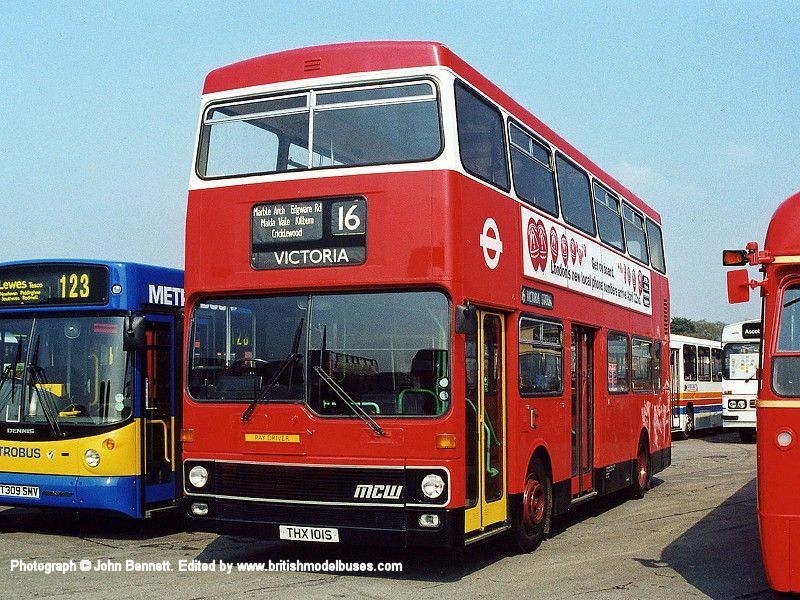 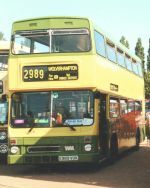 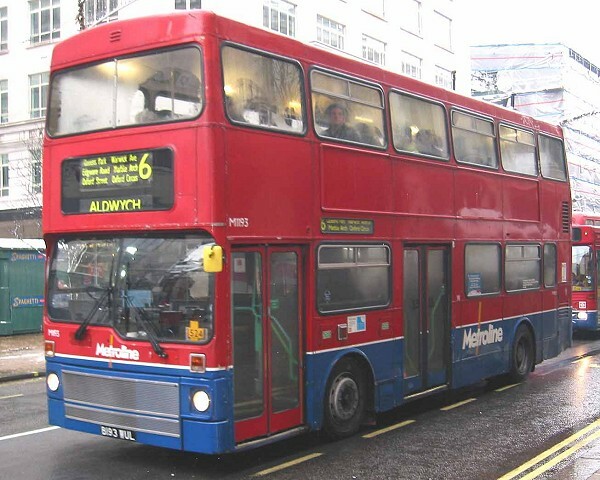 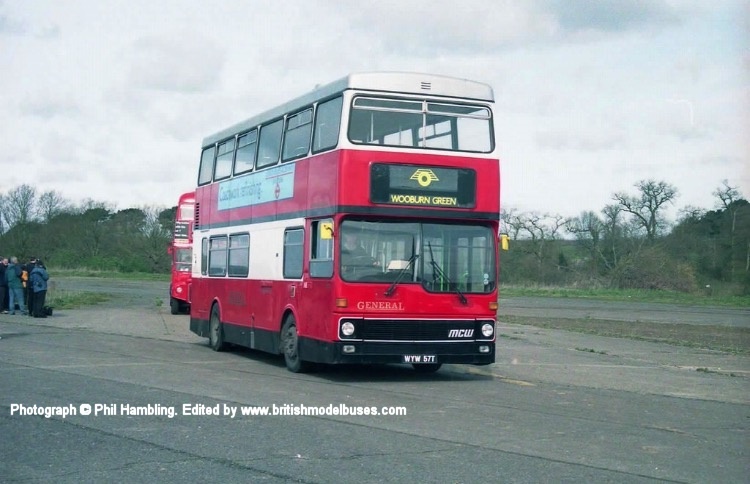 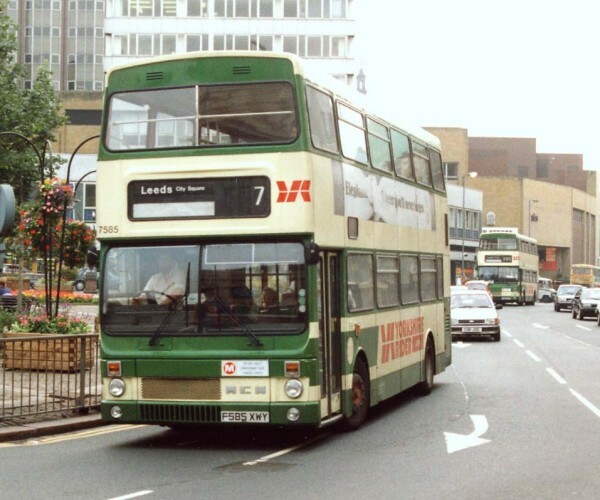 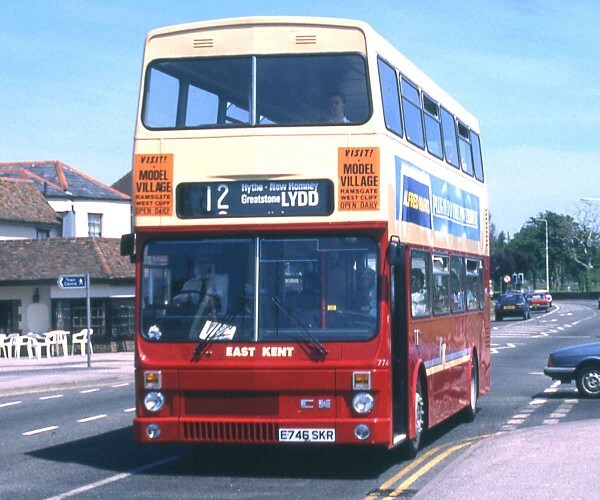 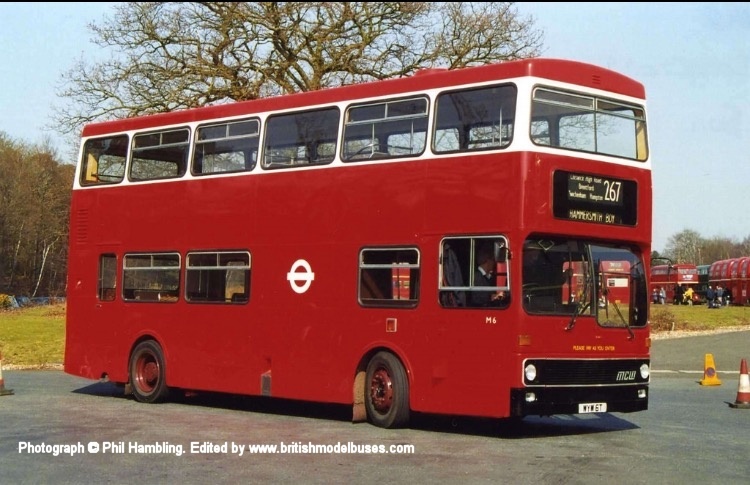 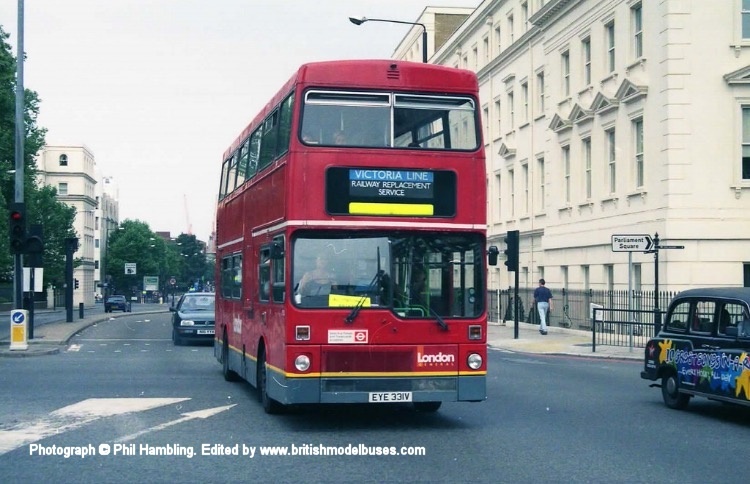 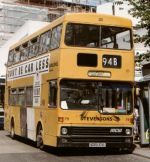 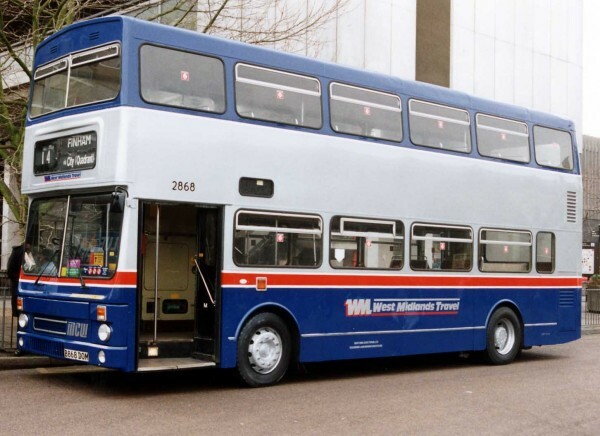 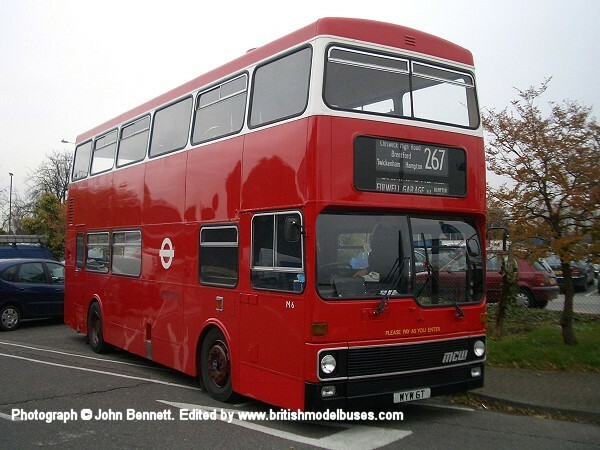 This photograph was taken at Potters Bar garage and shows fleet number M1447 (GBU9V). 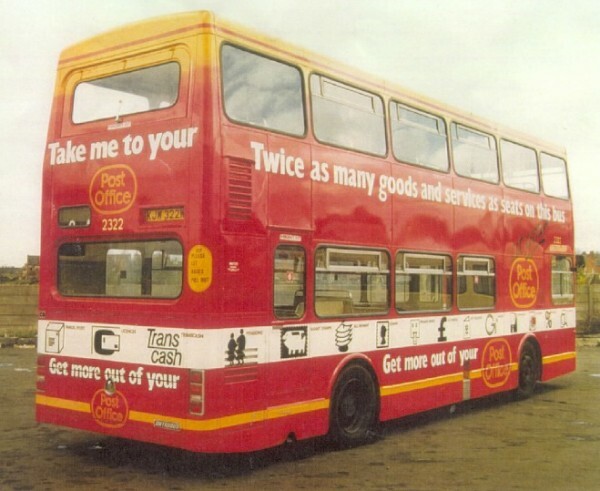 This is the actual vehicle represented by Corgi OOC model 45102. 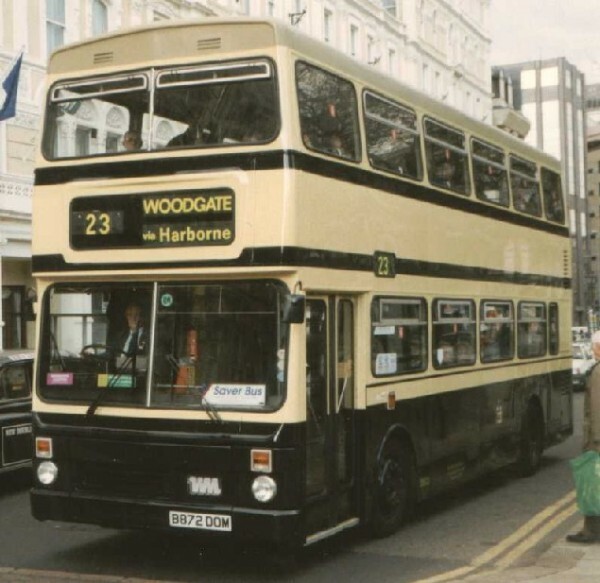 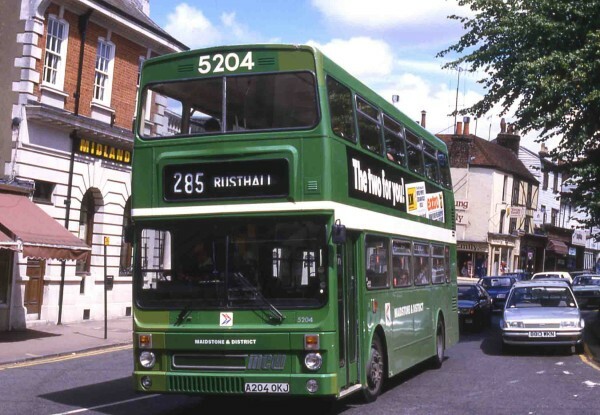 This photograph was taken in Tunbridge Wells on 27th July 1985 and shows 5204 (A204OKJ). 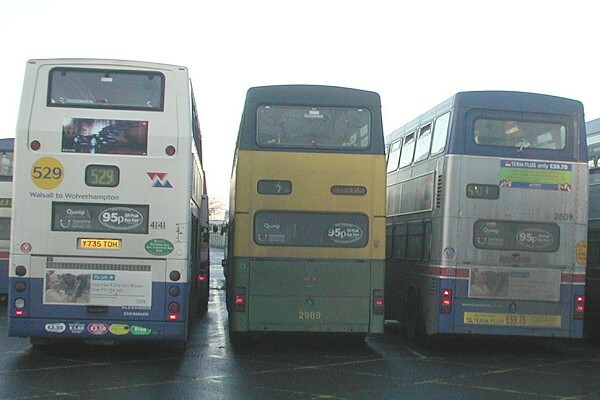 Note the many different shades of green as a result of repairs to accident damage. 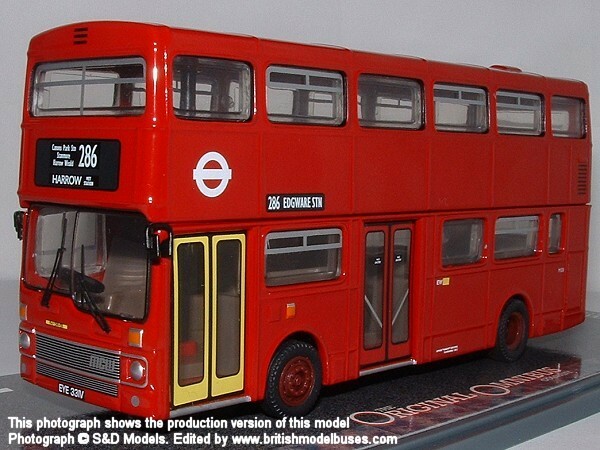 This is the actual vehicle represented by the Corgi OOC model OM45111. 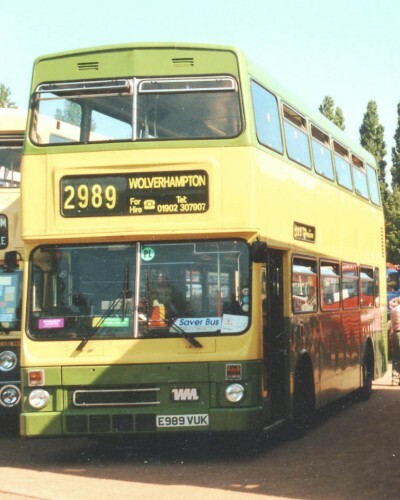 This photograph was taken at the Outer Circle Rally, Birmingham in September 1991. 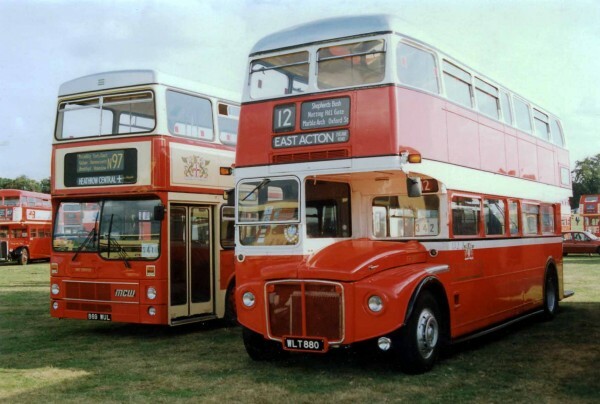 It shows fleet number 147 (B147EDP) and is the actual vehicle represented by Corgi Classics model 91851. 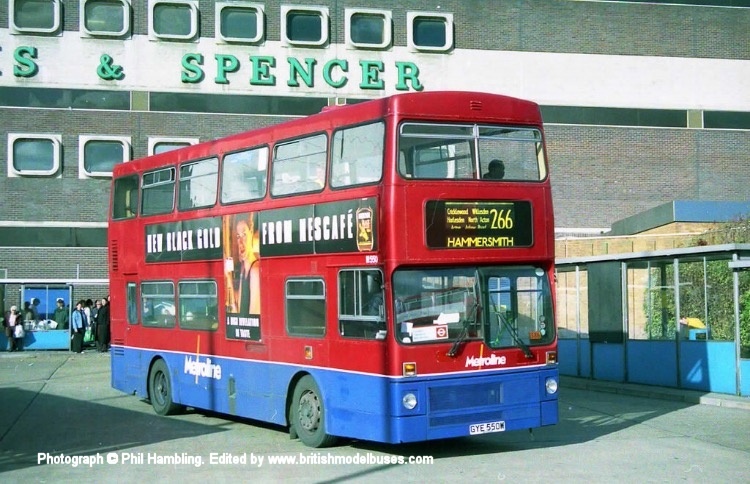 Just visible is the advertising banner (1901-1991, 90 years of public transport in Reading) as portrayed on the model. 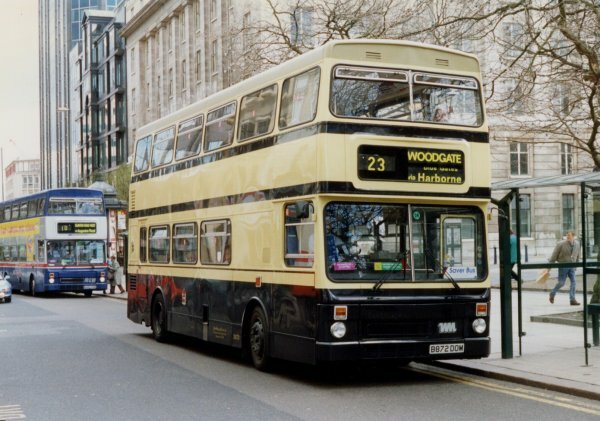 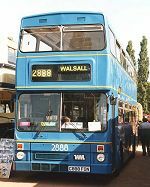 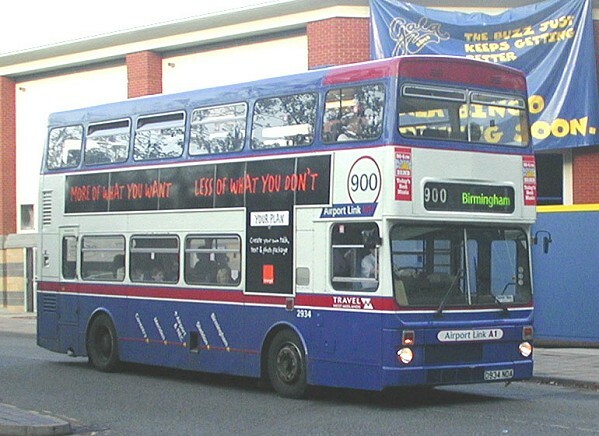 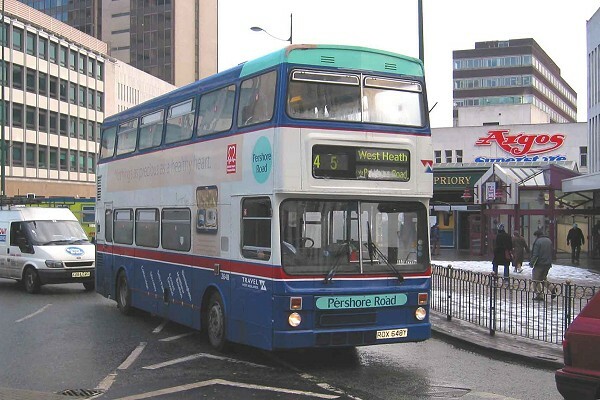 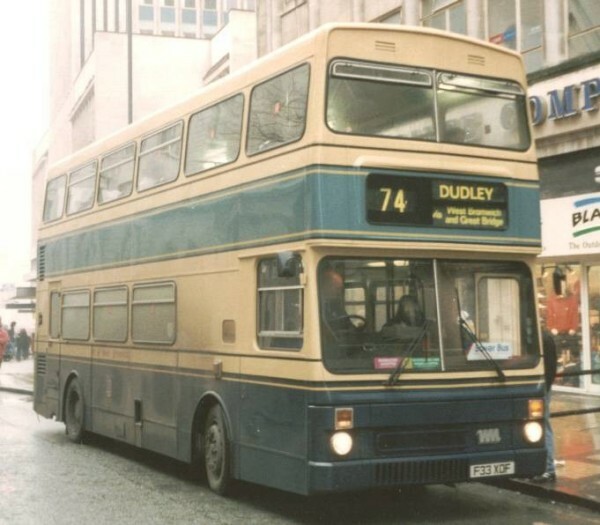 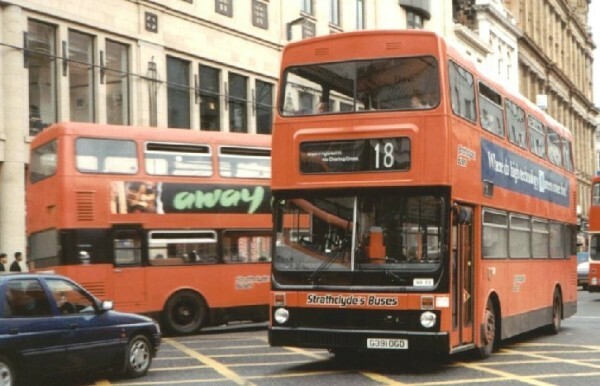 At the time of writing (17 Dec 2003) this vehicle is now currently part of the Stratford Blue Travel fleet (Ensignbus). 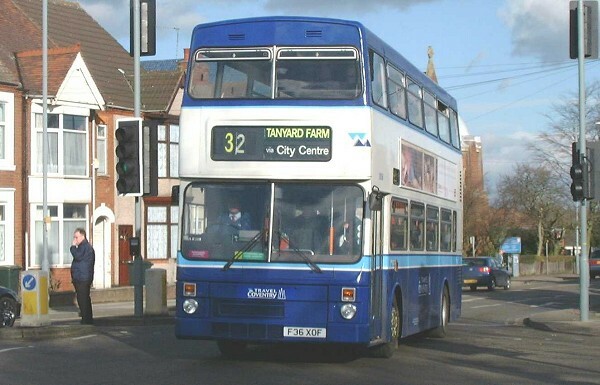 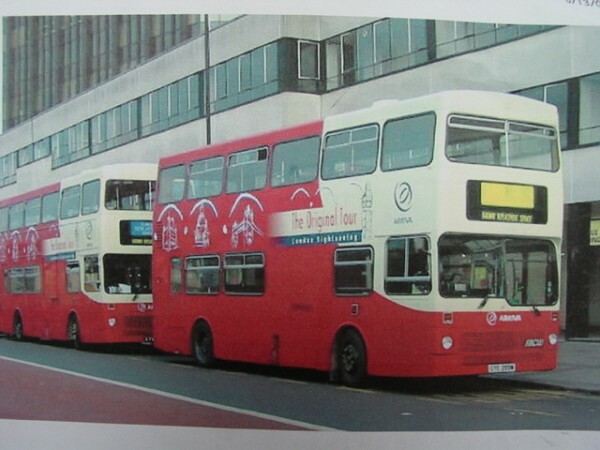 This photograph shows F36XOF in Travel Coventry livery. 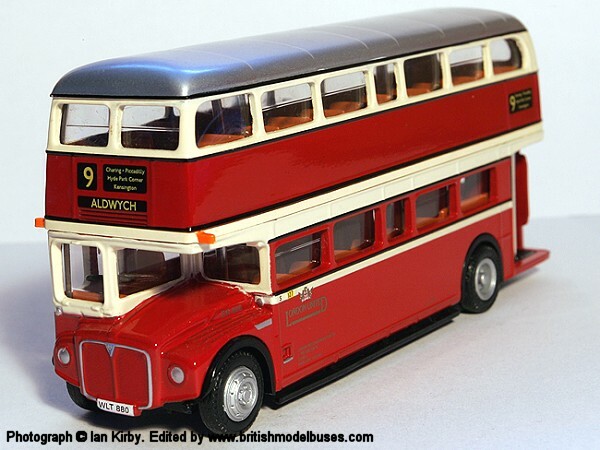 An ideal model to accompany Creative Master Northcord Dennis Trident ALX400 UKBUS1009? 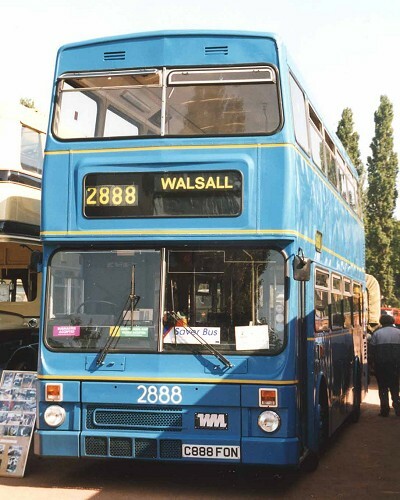 Photographd is West Midlands Travel 2868 (B868DOM), Metrobus MkII, newly repainted in Coventry Pool Meadow in February 1992. 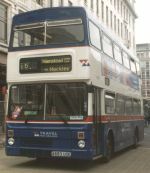 The OOC model OM45107 depicts the later "Travel West Midland" fleet name. 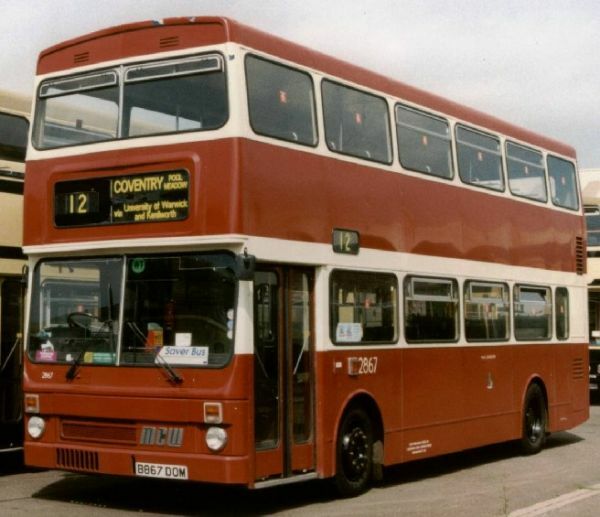 OOC model OM45105 represents sister vehicle 2867 in Coventry Corporation Heritage Livery.